Kushism is my favorite weed dispensary in L.A. The employees are nice, the products are solid and the lines aren’t usually too long. Similarly, in terms of ambiance, it doesn’t feel like an overly sanitized Apple Store, or like picking up an eighth from a dealer; essentially, it feels old fashioned without being outdated, or at least as old fashioned as a legal pot shop can possibly feel. When it comes to their transactions, however, Kushism is part of the cash-only culture that still dominates the industry (due to both federal law and the high price of credit-card processing systems willing to operate within the cannabis industry). In fact, I was recently waiting to pay for my King Louis XIII indica(earthy, piney, sleep-inducing) and my Jack Herer sativa pre-rolled joints(euphoric, joyful, clear-headed) at Kushism, excited to get back into the car and smoke the sativa, when my Visa was denied. “Cash only,” the attendant reminded me. Another player in the industry, however, Alt Thirty Six, wants to alleviate the cash-only burden for dispensaries and customers alike — as well as the dangerous reality that my favorite budtenders at Kushism probably handle thousands of dollars every night, which not only makes them vulnerable to human error in terms of accounting and taxes, but also to armed robbery. 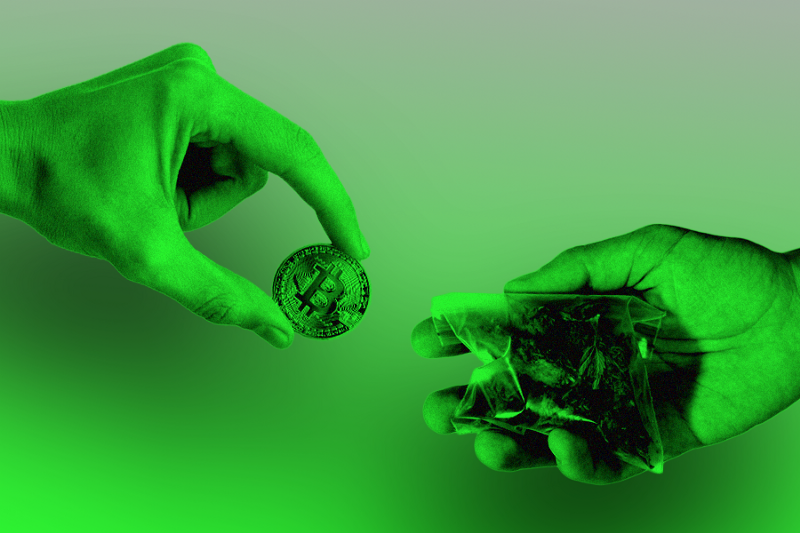 A digital payments platform that facilitates payments from the business-to-business and business-to-consumer aspects within the cannabis industry, Alt Thirty Six uses cryptocurrency as an alternative to cash, allowing dispensaries to be able to pay and transact with their vendors, suppliers, distributors and customers digitally. In other words, duffel bags will no longer be essential to the industry’s banking process, reducing the need to figure out where to safely stash large amounts of cash. The company is in the process of obtaining its money transmission license in states with recreational or medical policies; as such, it’s currently awaiting final approval from California and Nevada, with plans to enter the market in Michigan, Washington, Florida, D.C. and Colorado shortly thereafter. They’re also already live in Arizona. And so, there, they’re in the process of “onboarding clients — including many brands, cultivators, manufacturers and dispensaries,” according to Ramirez. It might turn out then that my beloved Kushism will soon go from cash-only to crypto-only. Either way, my Visa is still probably gonna be completely useless.